This article is about the men's team. For the women's team, see Poland women's national football team. The Poland national football team (Polish: Reprezentacja Polski w piłce nożnej) represents Poland in association football and is controlled by the Polish Football Association, the governing body for football in Poland. At the FIFA World Cup, the current best result for Poland are two bronze medals won in 1974 and 1982, with this era being regarded as the golden era of Polish international association football. At the Euros, Poland's best result is reaching the quarter-finals in 2016, in Poland's third consecutive appearance at the competition. Poland's debut at the Euros was in 2008. They were co-hosts of the 2012 edition, along with Ukraine. Overall, Poland's best ever result in international football tournaments as a whole was the gold medal won at the 1972 Munich Olympics, along with winning the silver medal on two occasions; at the 1976 Montreal Olympics and at the 1992 Barcelona Olympics. The first football federation was established on 25 June 1911 in Lwów as the Polish Football Union (Związek Polski Piłki Nożnej). After I World War members of PFU established on 20 December 1919 in Warsaw the Polish Football Federation (Polski Związek Piłki Nożnej). Poland would play its first official international match on 18 December 1921 in Budapest, where the side lost to Hungary 1–0. Their first international win would come on 28 May 1922 where they took on Sweden in Stockholm and beat them 2–1. Poland qualified for their first ever World Cup in 1937 when they beat Yugoslavia 4–0 and lost 1–0 in the two qualifying matches and ensured their place in the 1938 World Cup in France. During their debut in the World Cup, Poland would play Brazil in a match which would become one of the most memorable matches in World Cup history. Despite Brazil not being regarded as the world's top team in the 1930s, it was still believed to be a hard-to-beat side, having participated in two first World Cups. Under these circumstances, the Polish team – which had never before participated on such a level – was expected to lose the game against the South Americans. Thus, the defeat was not a sensation. However, all fans were surprised at the style with which the Poles played their lone game of the tournament. The white and reds got to the extra time, only then losing 5–6. Ernest Wilimowski, who played for Ruch Chorzów at the time, scored four of Poland's five goals, which to date is one of the most impressive individual performances in the history of the World Cup. 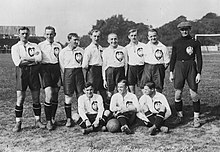 Poland played what would be their last international match before the outbreak of World War II against Hungary, the runners-up in the 1938 World Cup. The match stands out as an achievement as Poland defeated the strongly favored Hungarian side 4–2. Kazimierz Górski, Head Coach of the National Team between 1971 and 1976. On 11 June 1946, following the aftermath of World War II, Poland played their first international friendly match, against Norway in Oslo, a 3–1 defeat. The biggest success in the early years after the war was the victory against one of Europe's best at the time, Czechoslovakia. Poland defeated their southern neighbors 3–1. Poland suffered the worst defeat in the team's history on 26 April 1948 with a 0–8 loss to the Danish side. Poland would later erase that memory as they posted their second highest ever victory in Szczecin when they took down Norway 9–0 on 4 September 1963. The game marked the debut for Włodzimierz Lubański. He scored one of the goals in the game. Lubański became the all-time top scorer for Poland while playing from 1963 to 1980 scoring 48 goals in 75 appearances. This victory was surpassed on 1 April 2009 in Kielce when Poland defeated San Marino 10–0. On 1 December 1970, Polish football history would change forever all due to one man. Kazimierz Górski was named head coach of the national team. His success with the team was evident from the start with a gold medal at the 1972 Summer Olympics. Górski would later lead the team to another medal at the 1976 Olympics where they captured silver. However, nothing matched the two bronze medals at the 1974 and 1982 World Cups. Poland being mostly unknown on the international football scene before 1974 shook up the football world during the World Cup in Germany. However, this was no huge surprise as the core of the team successfully achieved a gold medal place in the Munich Olympics in 1972. The Olympics were not considered a major tournament by most Western nations, but Eastern European countries bypassed the amateur rules by fielding their full national teams, as most players also had employment with national industries or within the army. With their lightning speed and incredible team chemistry they were almost unstoppable. In qualifying they surprised everyone by eliminating England, quarter-finalists in 1970 and Champions in 1966. Poland celebrates a victory over Brazil in the 1974 World Cup. In their opening match of Germany '74 Poland met Argentina, a team that was appearing in their 6th World Cup. Within eight minutes Poland were up 2–0, Grzegorz Lato opened the scoring in the seventh minute and just a minute later Andrzej Szarmach doubled the lead. In the 60th minute, Argentina cut the lead in half when Ramon Heredia scored. Two minutes later, however, Lato scored his second, which turned out to be the winning goal as Carlos Babington gave Argentina their second in the 66th. The match finished 3–2 for Poland. Poland thrashed Haiti 7–0 in their second game. The goals included a hat-trick from Szarmach and two from Lato. In their final match of the first stage, Poland met Italy, who finished second at the previous World Cup in 1970. Poland were already through to the Second Round but needed at least a draw to win the group. At half-time, Poland was leading 2–0 on goals from Andrzej Szarmach and Kazimierz Deyna. It was not until the 86th minute that Italy managed a consolation goal through Fabio Capello. This gave Poland their third consecutive win, which led them to win the group. In the second round, Poland first won 1–0 against a Swedish side, which had not conceded any goals in their first three matches. Lato scored the only goal of the game. Next was Yugoslavia, who had drawn with Brazil and Scotland and won 9–0 against Zaire in the first round. Poland was awarded a penalty in the 24th minute and took the lead when Deyna converted. Stanislav Karasi tied it up for Yugoslavia in the 43rd. Lato won it for Poland again when he scored in the 62nd, making the final score 2–1 in Poland's favour. On 3 July 1974 came the game that could have sent Poland into the 1974 World Cup Final. They played against the eventual champions West Germany. It had rained all day long, the field was entirely flooded. Poland wanted the game postponed but the Austrian referee would not agree. The game went ahead. Poland needed a win to be in the final, a draw was enough for the Germans. But in the miserably wet conditions, Poland's speed was of no use since the ball would not roll like it does on a dry field. Gerd Müller scored the winning goal in the 76th minute for Germany. The whole country was crushed. Poland would end the amazing run with a 1–0 victory over Brazil in the third place game. Lato scored the winning goal his seventh of the tournament crowning him the top scorer of the World Cup. In qualifying, Poland denied Portugal their second World Cup appearance when in 1966 they had captured third place. Poland opened the World Cup against their rivals from four years prior and the current Champions, West Germany. This time the match ended in a 0–0 draw. Grzegorz Lato continued his scoring ways with the only goal in the 1–0 win over African side Tunisia in the second game. In the final first round match Poland met Mexico. Zbigniew Boniek playing in his first World Cup opened the scoring in the 43rd minute. The Mexicans drew level through Víctor Rangel in the 52nd minute, but four minutes later Kazimierz Deyna put Poland ahead once again. Then Boniek scored his second in the 84th to secure the 3–1 win. In the second round, Poland met three South American teams. In 1974, Poland had played and won against both Argentina and Brazil, both teams would get their revenge this time around. First, Argentina beat the Poles 2–0 with two goals from tournament top scorer Mario Kempes. Poland then defeated Peru 1–0 with a goal from Andrzej Szarmach. In what was Poland's last match of this World Cup, Brazil opened the scoring in the 12th minute on a goal from Nelinho. Even though Lato equalized one minute before half-time, it was not to be for Poland: two goals from Roberto in the 57th and 62nd minutes wrapped up the 3–1 win for Brazil. Zbigniew Boniek, top scorer for Poland in the 1982 World Cup. On 29 November 1980, a dispute between players and technical staff began at a hotel in Warsaw, ending in the Okęcie Airport. Following the incident, several players of the Poland national team were banned from international duty, also leading to the resignation of Ryszard Kulesza as head coach of the team. At the 1982 FIFA World Cup, Poland were drawn in a group with Italy, Cameroon and Peru. The first two games were consecutive 0–0 draws with Italy and Cameroon, but the final group game of the first round ended in a 5–1 win for Poland, meaning they would advance to the second round as group winners. In the first game of the second round, Poland beat Belgium 3–0; with a hat-trick from Boniek securing him a classic performance in the match, but the player would also receive a yellow card in the following match. Nevertheless, Poland advanced as group winners to the knockout stage. However, Poland would eventually be stopped in the semi-finals, losing 0–2 to Italy and ending the dream of playing at the World Cup final once again; but also securing a place in the third place play-off. In the third place play-off, Poland beat France 3–2, with the game also being regarded as "the end of the golden era of Polish football". Włodzimierz Smolarek; goalscorer of the game against Portugal, won 1–0 by Poland. In 1986 FIFA World Cup qualifying, Poland finished top of the qualifying group; with 3 wins, 2 draws and 1 defeat. Poland's biggest win of the qualifying phase was a 4–1 win over Greece, meanwhile Poland's biggest defeat was a 0–2 defeat to Belgium. At the 1986 FIFA World Cup, Poland were drawn into a group with England, Morocco and Portugal. The first match was a 0–0 draw, and in the second match, beat Portugal 1–0. In the final group game, they lost 0–3 to England, but Poland still advanced into the knockout stage, as a result of Morocco winning 3–1 over Portugal. In the round of sixteen, Poland were eliminated after suffering a 4–0 defeat to Brazil. Andrzej Juskowiak; top goalscorer for Poland in Euro 1996 qualifying (3 goals) and 1998 World Cup qualifying. (7 goals). After the "Golden Era" from the 1970s and 1980s, Poland suffered a severe drought in international football; they didn't qualify for three consecutive editions of the FIFA World Cup, failing to qualify in 1990, 1994 and 1998. In 1990 World Cup qualifying, Poland finished 3rd in the qualifying group, behind Sweden and England, on 5 points with two wins, one draw and three defeats. They began qualifying for the 1990 edition with a 1–0 win over Albania, before defeats to Sweden (2–1) and England (3–0). Poland then drew 0–0 with England, lost to Sweden 0–2 and beat Albania 2–1 in their final game, but were 4 points behind England; thus failing to qualify. In 1994 World Cup qualifying, Poland finished 4th in the qualifying group, behind Norway, the Netherlands and England. Poland began qualifying with 1–0 win over Turkey; followed by a 2–2 draw with the Netherlands, a 1–0 win over San Marino and a 3–0 win in the reverse fixture. Afterwards, Poland drew 1–1 with England, before a 0–3 defeat in the reverse fixture. Afterwards, Poland would then go on to suffer consecutive defeats, losing 1–0 and 3–0 to Norway, followed by a 2–1 defeat to Turkey and a 1–3 defeat to the Netherlands in the final fixture. In Euro 1996 qualifying, Poland drew a qualifying group with Romania, France, Slovakia, Israel and Azerbaijan. Poland lost 2–1 to Israel in the first game, and would later record a 1–0 win over Azerbaijan and a 0–0 draw with France. Later, Poland lost 2–1 to Romania, beat Israel 4–3 and Slovakia 5–0, before consecutive draws with France (1–1) and Romania (0–0). Poland lost 4–1 to Slovakia in the penultimate qualifying game, and drew 0–0 with Azerbaijan in the final group game. In 1998 World Cup qualifying, Poland finished 3rd behind England and Italy. They began qualifying with a 2–1 loss to England before a win over Moldova (2–1) and a 0–0 draw with Italy. Afterwards, they suffered successive defeats to Italy (3–0) and England (0–2). They won the next two games; 4–1 over Georgia and 3–0 over Moldova, with Andrzej Juskowiak scoring a hat-trick against the latter. The final game was against Georgia, with Poland losing 0–3. During the EURO 2000 Qualification. Poland was in a group with England, Sweden, Bulgaria and Luxemburg. Despite Poland being an Underdog in the group. They surprised by finishing above higher favourited Bulgarians and winning 2 games against them. Poland was third and was tied in points with England but failed to Qualify by Goal Differences. Poland qualifying for the 2002 World Cup was significant, as it was Poland's first appearance at the World Cup finals since 1986. Poland's biggest win overall at in the qualifying phase was a 4–0 win over Armenia, while Poland's biggest defeat was a 1–4 defeat to Belarus. The Polish drew a group featuring South Korea, the United States and Portugal. The first match was played with South Korea on 4 June; with Poland losing 2–0. The second game was with Portugal on 10 June; which Poland lost 4–0. Poland then played the United States in the final group game on 14 June; winning 3–1 with goals from Olisadebe, Kryszałowicz and Żewłakow. Despite the win, Poland finished last in the group, with a goal difference of –4 and 3 points. 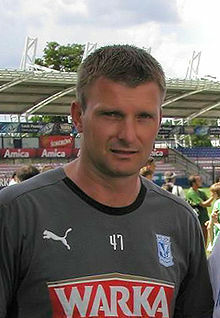 Tomasz Frankowski; top goalscorer during Poland's 2006 World Cup qualifying campaign, with 7 goals, including a hat-trick against Azerbaijan. Poland's qualifying for the 2006 FIFA World Cup was overall successful; as they won eight and lost two, without a single draw. They finished behind England in the qualifying group; but as a result of being the second best second-placed team in the play-offs, they qualified automatically for the finals in Germany. The biggest win of the qualifying phase for Poland was an 8–0 victory over Azerbaijan, in which Tomasz Frankowski scored a hat-trick. The biggest defeat of the qualifying phase for Poland were two defeats against England, losing both home and away games by a scoreline of 1–2. At the 2006 World Cup, Poland drew Germany, Ecuador and Costa Rica in Group A. Despite high hopes from the Polish press, media and fans, Poland's campaign at the World Cup was seen as an underachievement; as Poland lost two and won one game, finishing third in the group. Poland's first match was a 2–0 defeat to Ecuador, followed by a 1–0 defeat to Germany, with Oliver Neuville scoring a stoppage time winning goal; with the defeat to Germany, and following Ecuador's 3–0 win over Costa Rica, officially ending Poland's chances of advancing further than the group. The third and final group game saw Poland defeat Costa Rica 2–1; with Bartosz Bosacki getting on the scoresheet twice. Euzebiusz Smolarek, who scored 9 goals during the qualifying phase. In Euro 2008 qualifying, Poland were drawn into a group with Portugal, Serbia, Finland, Belgium, Kazakhstan, Armenia and Azerbaijan. Poland's campaign began in uncomfortable fashion; suffering a 1–3 defeat to Finland on 2 September 2006 and then drawing 1–1 with Serbia on 6 September. In the third match, on 7 October, Poland won 1–0 over Kazakhstan, with Euzebiusz Smolarek scoring the goal. On 11 October, Poland beat Portugal 2–1 with Smolarek scoring the two goals. On 15 November, they beat Belgium 1–0. On 24 March 2007, Poland beat Azerbaijan 5–0, and on 28 March beat Armenia 1–0. On 2 June, they beat Azerbaijan 3–1 with Smolarek and Krzynówek (2) scoring. On 6 June, Poland lost 1–0 to Armenia, on 8 September drew 2–2 with Portugal, and on 12 September drew 0–0 with Finland. On 13 October, Poland beat Kazakhstan 3–1 with a hat-trick from Smolarek. On 17 November, they beat Belgium 2–0 with two goals from Smolarek, and on 21 November drew 2–2 with Serbia in the final qualifying game; thus qualifying for the tournament as the 1st place team in the qualifying group following Portugal's 0–0 draw with Finland, Poland's first ever Euro appearance. At UEFA Euro 2008, they were drawn in Group B; with Germany, Austria and Croatia. The opening match was against Germany on 8 June at the Hypo-Arena in Klagenfurt, a match that Poland lost 2–0 with two goals from Lukas Podolski. In the second game, Poland drew 1–1 with Austria; taking the lead through Brazil-born Roger Guerreiro, before conceding in the third minute of stoppage time following a controversial penalty. The final group game was against Croatia, which Poland lost 1–0, finishing bottom of the group. Artur Boruc, goalkeeper for Poland from 2004 to 2017, who made 65 appearances during his international career. In 2010 FIFA World Cup qualifying, Poland were drawn in a group with Slovakia, Slovenia, the Czech Republic, Northern Ireland and San Marino, and this has been Poland's worst qualifying campaign to date. Poland finished 5th in the group; just above San Marino, with 11 points. Poland began the campaign with a 1–1 draw against Slovenia on 6 September 2008. On 10 October, Poland beat San Marino 2–0. On 11 October, they won 2–1 against the Czech Republic. After these two wins, Poland lost consecutive matches against Slovakia (15 October, losing 1–2) and Northern Ireland (28 March 2009, losing 2–3). After these defeats, Poland recorded their biggest ever win, winning 10–0 against San Marino in which six different players scored, with Euzebiusz Smolarek scoring four goals, on 1 April 2009. On 5 September, Poland drew 1–1 with Northern Ireland and on 9 September, lost 3–0 to Slovenia. On 10 October, Poland lost 2–0 to the Czech Republic and on 14 October, lost 1–0 to Slovakia. On 18 April 2007, in Cardiff, Poland and Ukraine were selected to host UEFA Euro 2012 by the UEFA Executive Committee. The bid defeated other bids made, including one from Italy and a joint bid by Croatia and Hungary; thus becoming the third successful joint-bid made to host the UEFA European Championship, after the Netherlands and Belgium in 2000, and Austria and Switzerland in 2008. Poland were drawn into Group A; with Greece, Russia and the Czech Republic. 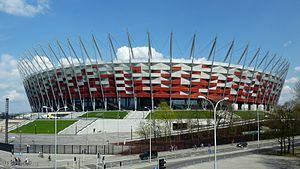 On 8 June, the opening match played between Poland and Greece at the Stadion Narodowy in Warsaw, ended 1–1, with Poland taking the lead in the 17th minute through Robert Lewandowski before Greece equalized in the second half through Dimitris Salpingidis in the 51st minute, and in the game, both teams went down to 10 men. Poland's next game was on 12 June, again played at the Stadion Narodowy in Warsaw, with the game against Russia finishing 1–1, with Russia taking the lead through Alan Dzagoev in the 37th minute before Poland equalized through Błaszczykowski in the 57th minute. Poland's final game was against the Czech Republic, played on 16 June, at the Stadion Miejski, in Wrocław, where Poland lost 1–0 following a goal from Petr Jiráček. Poland finished bottom of the group, with just two points. Robert Lewandowski (center) and Arkadiusz Milk (right) playing for Poland in a friendly match against the Republic of Ireland, in 2013. Poland was drawn in Group H of 2014 FIFA World Cup qualifying; with England, Ukraine, Montenegro, Moldova and San Marino. On 7 September, Poland's first qualifying match ended in a 2–2 draw with Montenegro, with goals from Błaszczykowski and Mierzejewski. On 11 September, they beat Moldova 2–0 with goals from Błaszczykowski and Wawrzyniak. On 17 October, Poland drew 1–1 with England, with Glik scoring the equalizing goal. On 22 March 2013, Poland lost 3–1 to Ukraine, conceding two goals in the first seven minutes alone, with Piszczek scoring Poland's only goal. On 26 March, Poland beat San Marino 5–0, with a brace from Lewandowski, and goals from Piszczek, Teodorczyk and Kosecki. On 6 September, Poland drew 1–1 with Montenegro; with Lewandowski scoring the equalizing goal only five minutes after Poland initially conceded. On 10 September, they beat San Marino 5–1, with a brace from Zieliński, and goals from Błaszczykowski, Sobota and Mierzejewski. However, Poland lost the last two games against Ukraine and England; losing 1–0 and 2–0, respectively. In UEFA Euro 2016 qualifying, Poland were drawn in Group D; with Germany, Scotland, the Republic of Ireland, Georgia and Gibraltar. On 7 September 2014, Poland beat Gibraltar 7–0, with Robert Lewandowski scoring four goals, Kamil Grosicki scoring two goals and Łukasz Szukała scoring one goal. On 11 October, Poland beat Germany 2–0, with Germany having won the 2014 FIFA World Cup only three months prior, with goals from Arkadiusz Milik and Sebastian Mila. On 14 October, Poland drew 2–2 with Scotland, with goals from Krzysztof Mączyński and Milik not being enough to secure the three points. On 14 November, they beat Georgia 4–0, with goals from Kamil Glik, Grzegorz Krychowiak, Mila and Milik. On 29 March 2015, they drew 1–1 with the Republic of Ireland, with Sławomir Peszko; but conceded a goal from Shane Long in stoppage time. On 13 June, they beat Georgia 4–0; with a goal from Milik and a hat-trick from Lewandowski. On 7 September, they beat Gibraltar 8–1; with Grosicki, Lewandowski and Milik all scoring twice, and Jakub Błaszczykowski and Bartosz Kapustka. On 8 October, they drew 2–2 with Scotland, with Lewandowski scoring a brace. On 11 October, they beat the Republic of Ireland 2–1 with goals from Krychowiak and Lewandowski, securing automatic qualification for the Euros. Jakub Błaszczykowski playing for Poland during the Euro 2016 quarter-finals match with Portugal, on 30 June 2016. At the UEFA Euro 2016 finals, Poland were drawn in Group C; with Germany, Northern Ireland and Ukraine. Poland's first match was with Northern Ireland, on 12 June at the Stade de Nice in Nice; a game they won 1–0 with a goal from Arkadiusz Milik in the 51st minute. The next match was with Germany at the Stade de France in Saint-Denis on 16 June; with the finishing 0–0. Poland's final group game was with Ukraine on 21 June, at the Stade Vélodrome in Marseille, a game they won 1–0 with a goal from Jakub Błaszczykowski. In the round of sixteen, Poland were drawn to play Switzerland on 25 June at the Stade Geoffroy-Guichard in Saint-Étienne. Poland took the lead through a goal from Błaszczykowski, but conceded a bicycle kick from Xherdan Shaqiri in the 82nd minute, finishing the game 1–1 in regular time. After even extra-time could not break the tie; Poland beat Switzerland in a penalty shootout, winning 5–4 on penalties. On 30 June, at the Stade Vélodrome in Marseille played with Portugal in the quarter-finals of the tournament; a game in which Poland took the lead in the 2nd minute through a goal from Robert Lewandowski before conceding a goal from Renato Sanches in the 33nd minute. The match was 1–1 even after regular time and extra-time ended; thus taking the game to penalties. Poland lost the penalty shootout, losing 5–3 with Błaszczykowski having the crucial penalty saved. Robert Lewandowski, who finished the 2018 FIFA World Cup qualifying campaign with 16 goals; breaking the European qualifying record for goals scored, as well as becoming all-time top goalscorer for Poland. In 2018 FIFA World Cup qualifying, Poland were drawn in Group E; with Denmark, Montenegro, Romania, Armenia and Kazakhstan. The opening match for Poland was against Kazakhstan on 4 September 2016, which Poland drew 2–2, taking a 2–0 lead through goals from Bartosz Kapustka and Robert Lewandowski, but they conceded two goals from Sergei Khizhnichenko in the second half. On 8 October, Poland beat Denmark 3–2 with Lewandowski scoring a hat-trick. Three days later, on 11 October, they beat Armenia 2–1, with goals from Lewandowski and an own goal from Hrayr Mkoyan. On 11 November, Poland beat Romania 3–0 with Kamil Grosicki and Lewandowski (2) scoring the goals. On 26 March 2017, Poland beat Montenegro 2–1 with Lewandowski and Łukasz Piszczek scoring the goals. On 10 June, Poland beat Romania 3–1 with a hat-trick from Lewandowski. However, on 1 September, they suffered a 4–0 defeat to Denmark, their first loss of their qualifying campaign. Three days later, they beat Kazakhstan 3–0 with goals from Arkadiusz Milik, Kamil Glik and Lewandowski. On 5 October, they trashed Armenia 6–1, with goals from Grosicki, Jakub Błaszczykowski, Rafał Wolski and a hat-trick from Lewandowski, who became Poland's record goalscorer in the match. Three days later, on 8 October, Poland officially qualified for the tournament with a 4–2 win over Montenegro; with goals from Krzysztof Mączyński, Grosicki, Lewandowski and an own goal from Filip Stojković. Lewandowski scored 16 goals during qualifying; breaking the European qualifying scoring record, as well as becoming the all-time top goalscorer of Poland. The Poland national team line-up before the third and final group game against Japan; on 28 June. Poland won the game 1–0. Poland played at the 2018 FIFA World Cup, their first World Cup since 2006, in Group H; against Senegal, Colombia and Japan. Despite the group being considered a close group, Poland were tipped as favorites to advance from the group. In May 2018, Poland named the preliminary 34-man squad, and on 4 June, they named the final 23-man squad. The squad featured several notable players; such as elite striker Robert Lewandowski (playing at his first World Cup), VfL Wolfsburg's veteran midfielder Jakub Błaszczykowski, Monaco defender Kamil Glik (who suffered an injury two weeks prior to the start of the tournament), Napoli forward Arkadiusz Milik and Juventus goalkeeper Wojciech Szczęsny. However, despite all of this and despite being ranked 8th in the FIFA Ranking prior to the tournament, Poland's tournament was disappointing overall; they lost to Senegal in the opening match, losing 1–2 on 19 June in Moscow. Five days later, on 24 June, they lost to Colombia in Kazan, losing 0–3, which mathematically ended their hopes of qualifying from the group and on 28 June, beat Japan 1–0 in their final group game in Volgograd. Poland finished bottom of their group, and like their two previous performances in 2002 and 2006, got two losses and only won the last match. The qualifying group stage draw was held on 2 December 2018 in Dublin, Republic of Ireland. The 55 teams were drawn into 10 groups: five groups of five teams (Groups A–E) and five groups of six teams (Groups F–J). Ranked at No. 10 in Pot 1, Poland was drawn into UEFA Euro 2020 qualifying Group G. Group G consists of six teams: Austria, Israel, Latvia, Macedonia, Poland and Slovenia, where they will play against each other home-and-away in a round-robin format. The top two teams will qualify directly for the finals. Unlike previous editions, the participants of the play-offs will not be decided based on results from the qualifying group stage, but instead based on their performance in the 2018–19 UEFA Nations League. In 2018, Poland was drawn into Group 3 in the 2018–19 UEFA Nations League A, along with Portugal and Italy. Poland, which had not gotten out from the shocking 2018 World Cup nightmare, was relegated to League B with two home defeats and two away draws. Despite this poor performance in the Nations League however, Poland opened their UEFA Euro 2020 qualifying by a single-margin 1–0 win against Austria in Vienna thanked for Krzysztof Piątek. Three days later, Poland followed up their suit by beating Latvia 2–0 at home. World Cup 2018 Team including Grzegorz Krychowiak (10), Artur Jędrzejczyk (3), Rafał Kurzawa (21), Kamil Glik (15), Jan Bednarek (5), Łukasz Fabiański (22), Bartosz Bereszyński (18), Jacek Góralski (6), Piotr Zieliński (19), Robert Lewandowski (9), Kamil Grosicki (11). **Gold background colour indicates that the tournament was won. ***Red border colour indicates tournament was held on home soil. The official FIFA country code for Poland is POL. This abbreviation is used to identify the team in FIFA, UEFA, and other matches. The same abbreviation is also used under the International Organization for Standardization. "Polish national football team" can be translated into Polish as "Reprezentacja Polski w piłce nożnej". The team's nicknames include "Biało-czerwoni" which means "The white-reds" and "Orły" which translates into "The Eagles". These are the most common names given to the Polish national football team. 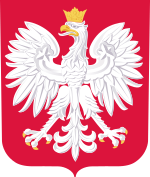 In English, the team is also widely known as "The White Eagles", based on Poland's national coats of arms. The national kits of Poland reflect the colors of the national flag which are white and red. Apart from minor details (in the 1920s the socks in the home kit were striped), the design remains unchanged since 1921. The home kit consists of a white shirt, red shorts and white socks; the away kit is all red (though sometimes worn with white shorts). On the rare occasions when both home and away kits clash with the opponent's, a colours third kit is available, usually in either black or blue (currently navy blue with white-red sleeves). The kit has traditionally been adorned with the white eagle (until 2006, the coat of arms featured the inscription "POLSKA" in capital letters above the eagle), the Polish coat of arms, and not, as with many other national teams, the national football federation logo. (The Euro 2012 kits were the first to feature the logo of the PZPN, however, when the kit was first launched it did not include the iconic coat of arms with the white eagle. After only a few matches, the Coat of arms made its return on the national kits.) Since 2009, the current kits are provided by Nike. Silesian Stadium in Chorzów was built in 1956 and seats 47,246 people. The record attendance came on 20 October 1956, when 100,000 fans witnessed a game between Poland and the Soviet Union, with Poland winning 2–1. This holds the record for the most spectators to watch Poland. The stadium was renovated to seat 55,210 and was reopen in October 2017. In 1993, the stadium was designated as the official home stadium of the Poland national team. A new National Stadium was constructed in Warsaw with an expected capacity of 58,145 seats. Following UEFA Euro 2012, it has been used as the venue for all qualifying matches and some friendly matches of the Poland national team. The following players have been called up for the UEFA Euro 2020 qualifying matches against Austria and Latvia on 21 and 24 March 2019. Caps and goals updated as of 21 March 2019 after the match against Austria. Caps and goals including all matches officially recognized by PZPN (also those not recognized by FIFA). The following players have been called up for the national team in the last 12 months. INJ Withdrew from the squad due to an injury. RET Retired from the national team. Players who appeared at least 50 times for the national team or scored at least 10 goals. Bold – Indicates player with at least 50 caps and 10 goals. Notice: Imre Pozsonyi and Leo Beenhakker were the only foreign managers to coach the Poland national football team. ^ "Elo ratings as on September 10th, 1975". international-football.net. ^ ""Banda czworga", czyli afera na Okęciu". Retrieved 9 July 2018. ^ a b FIFA.com. "1982 FIFA World Cup Spain ™ - Groups - FIFA.com". FIFA.com. Retrieved 9 July 2018. ^ FIFA.com. "1982 FIFA World Cup Spain ™ - Matches - Italy-Poland - FIFA.com". FIFA.com. Retrieved 9 July 2018. ^ FIFA.com. "1982 FIFA World Cup Spain ™ - Matches - Poland-Cameroon - FIFA.com". FIFA.com. Retrieved 9 July 2018. ^ FIFA.com. "1982 FIFA World Cup Spain ™ - Matches - Poland-Peru - FIFA.com". FIFA.com. Retrieved 9 July 2018. ^ FIFA.com. "1982 FIFA World Cup Spain ™ - Matches - Poland-Belgium - FIFA.com". FIFA.com. Retrieved 9 July 2018. ^ FIFA.com. "1982 FIFA World Cup Spain ™ - Matches - Poland-Soviet Union - FIFA.com". FIFA.com. Retrieved 9 July 2018. ^ Alsos, Jan. "Planet World Cup - 1982 - Semifinal - Italy v Poland". www.planetworldcup.com. Retrieved 9 July 2018. ^ Alsos, Jan. "Planet World Cup - 1982 - 3rd/4th Place Play-Off - Poland v France". www.planetworldcup.com. Retrieved 9 July 2018. ^ "World Cup 1986 qualifications". www.rsssf.com. Retrieved 9 July 2018. ^ "WORLD CUP 1986". www.allworldcup.narod.ru. Retrieved 9 July 2018. ^ FIFA.com. "1986 FIFA World Cup Mexico ™ - Groups - FIFA.com". FIFA.com. Retrieved 9 July 2018. ^ FIFA.com. "1986 FIFA World Cup Mexico ™ - Matches - Morocco-Poland - FIFA.com". FIFA.com. Retrieved 9 July 2018. ^ Alsos, Jan. "Planet World Cup - 1986 - Group F - Poland v Portugal". www.planetworldcup.com. Retrieved 9 July 2018. ^ FIFA.com. "1986 FIFA World Cup Mexico ™ - Matches - England-Poland - FIFA.com". FIFA.com. Retrieved 9 July 2018. ^ FIFA.com. "1986 FIFA World Cup Mexico ™ - Matches - Portugal-Morocco - FIFA.com". FIFA.com. Retrieved 9 July 2018. ^ FIFA.com. "1986 FIFA World Cup Mexico ™ - Matches - Brazil-Poland - FIFA.com". FIFA.com. Retrieved 9 July 2018. ^ FIFA.com. "1990 FIFA World Cup Italy ™ - Groups - FIFA.com". FIFA.com. Retrieved 7 July 2018. ^ "WORLD CUP 1990". allworldcup.narod.ru. Retrieved 7 July 2018. ^ "World Cup 1994 qualifications". 11 May 2011. Retrieved 7 July 2018. ^ "World Cup 1994 QUALIFYING". allworldcup.narod.ru. Retrieved 7 July 2018. ^ uefa.com. "UEFA EURO 1996 - History - Standings – UEFA.com". UEFA.com. Retrieved 7 July 2018. ^ uefa.com. "UEFA EURO 1996 - History - Israel-Poland – UEFA.com". Uefa.com. Retrieved 7 July 2018. ^ uefa.com. "UEFA EURO 1996 - History - Poland-Azerbaijan – UEFA.com". Uefa.com. Retrieved 7 July 2018. ^ uefa.com. "UEFA EURO 1996 - History - Poland-France – UEFA.com". Uefa.com. Retrieved 7 July 2018. ^ uefa.com. "UEFA EURO 1996 - History - Romania-Poland – UEFA.com". Uefa.com. Retrieved 7 July 2018. ^ uefa.com. "UEFA EURO 1996 - History - Poland-Israel – UEFA.com". Uefa.com. Retrieved 7 July 2018. ^ uefa.com. "UEFA EURO 1996 - History - Poland-Slovakia – UEFA.com". Uefa.com. Retrieved 7 July 2018. ^ uefa.com. "UEFA EURO 1996 - History - France-Poland – UEFA.com". Uefa.com. Retrieved 7 July 2018. ^ uefa.com. "UEFA EURO 1996 - History - Slovakia-Poland – UEFA.com". Uefa.com. Retrieved 7 July 2018. ^ uefa.com. "UEFA EURO 1996 - History - Azerbaijan-Poland – UEFA.com". Uefa.com. Retrieved 7 July 2018. ^ "World Cup 1998 qualifications". www.rsssf.com. Retrieved 7 July 2018. ^ "UEFA - 1998 FIFA WORLD CUP PRELIMINARIES". allworldcup.narod.ru. Retrieved 7 July 2018. ^ "Moldova national football team lost to Poland 0:3, 7 October 1997". eu-football.info. Retrieved 7 July 2018. ^ "Georgia national football team defeated Poland 3:0, 11 October 1997". eu-football.info. Retrieved 7 July 2018. ^ "2002 FIFA World Cup Korea/Japan ™ - Groups". FIFA.com. Fédération Internationale de Football Association. Retrieved 6 July 2018. ^ "Poland v Armenia, 28 March 2001". 11v11.com. Retrieved 6 July 2018. ^ "Belarus v Poland, 5 September 2001". 11v11.com. Retrieved 6 July 2018. ^ a b "2002 FIFA World Cup Korea/Japan - Groups". FIFA.com. Fédération Internationale de Football Association. Retrieved 6 July 2018. ^ "2002 FIFA World Cup Korea/Japan - Matches - Korea Republic-Poland". FIFA.com. Fédération Internationale de Football Association. Retrieved 6 July 2018. ^ "2002 FIFA World Cup Korea/Japan - Matches - Portugal-Poland". FIFA.com. Fédération Internationale de Football Association. Retrieved 6 July 2018. ^ "2002 FIFA World Cup Korea/Japan - Matches - Poland-USA". FIFA.com. Fédération Internationale de Football Association. Retrieved 6 July 2018. ^ a b "2006 FIFA World Cup Germany - Groups". FIFA.com. Fédération Internationale de Football Association. Retrieved 6 July 2018. ^ "World Cup (Sky Sports)". skysports.com. Retrieved 6 July 2018. ^ "2006 FIFA World Cup Germany™". 4 February 2009. Retrieved 6 July 2018. ^ Glendenning, Barry (8 September 2004). "Poland 1 - 2 England". theguardian.com. Guardian News and Media Limited. Retrieved 6 July 2018. ^ "England 2-1 Poland". bbc.co.uk. British Broadcasting Corporation. 12 October 2005. Retrieved 6 July 2018. ^ "2006 FIFA World Cup Germany - Groups". FIFA.com. Fédération Internationale de Football Association. Retrieved 6 July 2018. ^ (www.dw.com), Deutsche Welle. "South American Surprise Puts Ecuador Even With Germany | DW | 9 June 2006". DW.COM. Retrieved 6 July 2018. ^ "Germany 1-0 Poland". 14 June 2006. Retrieved 6 July 2018. ^ "Ecuador 3-0 Costa Rica". bbc.co.uk. British Broadcasting Corporation. 15 June 2006. Retrieved 6 July 2018. ^ "2018 FIFA World Cup Russia™ - News - COSTA RICA 1-2 POLAND". FIFA.com. Fédération Internationale de Football Association. Retrieved 6 July 2018. ^ "Costa Rica 1-2 Poland". bbc.co.uk. British Broadcasting Corporation. 20 June 2006. Retrieved 6 July 2018. ^ uefa.com. "UEFA EURO 2008 - History - Standings – UEFA.com". UEFA.com. Retrieved 6 July 2018. ^ uefa.com. "UEFA EURO 2008 - History - Poland-Finland – UEFA.com". Uefa.com. Retrieved 6 July 2018. ^ uefa.com. "UEFA EURO 2008 - History - Poland-Serbia – UEFA.com". Uefa.com. Retrieved 6 July 2018. ^ uefa.com (7 October 2006). "UEFA EURO 2008 - History - Kazakhstan-Poland – UEFA.com". Uefa.com. Retrieved 6 July 2018. ^ uefa.com. "UEFA EURO 2008 - History - Poland-Portugal – UEFA.com". Uefa.com. Retrieved 6 July 2018. ^ uefa.com. "UEFA EURO 2008 - History - Belgium-Poland – UEFA.com". Uefa.com. Retrieved 6 July 2018. ^ uefa.com. "UEFA EURO 2008 - History - Poland-Azerbaijan – UEFA.com". Uefa.com. Retrieved 6 July 2018. ^ uefa.com. "UEFA EURO 2008 - History - Poland-Armenia – UEFA.com". Uefa.com. Retrieved 6 July 2018. ^ uefa.com. "UEFA EURO 2008 - History - Azerbaijan-Poland – UEFA.com". Uefa.com. Retrieved 6 July 2018. ^ uefa.com. "UEFA EURO 2008 - History - Armenia-Poland – UEFA.com". Uefa.com. Retrieved 6 July 2018. ^ uefa.com. "UEFA EURO 2008 - History - Portugal-Poland – UEFA.com". Uefa.com. Retrieved 6 July 2018. ^ uefa.com. "UEFA EURO 2008 - History - Finland-Poland – UEFA.com". Uefa.com. Retrieved 6 July 2018. ^ uefa.com. "UEFA EURO 2008 - History - Poland-Kazakhstan – UEFA.com". Uefa.com. Retrieved 6 July 2018. ^ uefa.com. "UEFA EURO 2008 - History - Poland-Belgium – UEFA.com". Uefa.com. Retrieved 6 July 2018. ^ uefa.com. "UEFA EURO 2008 - History - Serbia-Poland – UEFA.com". Uefa.com. Retrieved 6 July 2018. ^ uefa.com. "UEFA EURO 2008 - History - Portugal-Finland – UEFA.com". Uefa.com. Retrieved 6 July 2018. ^ uefa.com (8 June 2008). "UEFA EURO 2008 - History - Germany-Poland – UEFA.com". Uefa.com. Retrieved 6 July 2018. ^ "Austria 1-1 Poland". 12 June 2008. Retrieved 6 July 2018. ^ uefa.com (12 June 2008). 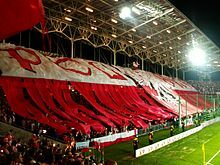 "UEFA EURO 2008 - History - Austria-Poland – UEFA.com". Uefa.com. Retrieved 6 July 2018. ^ "Poland 0-1 Croatia". 16 June 2008. Retrieved 6 July 2018. ^ FIFA.com. "2010 FIFA World Cup South Africa™ - Groups - FIFA.com". FIFA.com. Retrieved 5 July 2018. ^ FIFA.com. "2010 FIFA World Cup South Africa™ - Matches - Poland-Slovenia - FIFA.com". FIFA.com. Retrieved 5 July 2018. ^ FIFA.com. "2010 FIFA World Cup South Africa™ - Matches - San Marino-Poland - FIFA.com". FIFA.com. Retrieved 5 July 2018. ^ FIFA.com. "2010 FIFA World Cup South Africa™ - Matches - Poland-Czech Republic - FIFA.com". FIFA.com. Retrieved 5 July 2018. ^ FIFA.com. "2014 FIFA World Cup Brazil™: Slovakia-Poland - Report - FIFA.com". FIFA.com. Retrieved 5 July 2018. ^ FIFA.com. "2010 FIFA World Cup South Africa™ - Matches - Northern Ireland-Poland - FIFA.com". FIFA.com. Retrieved 5 July 2018. ^ Mole, Giles (2 April 2009). "European World Cup qualifying round-up: Poland put 10 past woeful San Marino". ISSN 0307-1235. Retrieved 5 July 2018. ^ FIFA.com. "2010 FIFA World Cup South Africa™ - Matches - Poland-San Marino - FIFA.com". FIFA.com. Retrieved 5 July 2018. ^ FIFA.com. "2010 FIFA World Cup South Africa™ - Matches - Poland-Northern Ireland - FIFA.com". FIFA.com. Retrieved 5 July 2018. ^ FIFA.com. "2010 FIFA World Cup South Africa™ - Matches - Slovenia-Poland - FIFA.com". FIFA.com. Retrieved 5 July 2018. ^ FIFA.com. "2010 FIFA World Cup South Africa™ - Matches - Czech Republic-Poland - FIFA.com". FIFA.com. Retrieved 5 July 2018. ^ FIFA.com. "2010 FIFA World Cup South Africa™ - Matches - Poland-Slovakia - FIFA.com". FIFA.com. Retrieved 5 July 2018. ^ a b uefa.com. "UEFA EURO 2012 - History - Standings – UEFA.com". UEFA.com. Retrieved 5 July 2018. ^ "Poland 1-1 Greece". BBC Sport. 8 June 2012. Retrieved 5 July 2018. ^ uefa.com (8 June 2012). "UEFA EURO 2012 - History - Poland-Greece – UEFA.com". Uefa.com. Retrieved 5 July 2018. ^ uefa.com (12 June 2012). "UEFA EURO 2012 - History - Poland-Russia – UEFA.com". Uefa.com. Retrieved 5 July 2018. ^ Wilson, Paul (12 June 2012). "Euro 2012: Poland 1-1 Russia | Group A match report". the Guardian. Retrieved 5 July 2018. ^ "Czech Republic 1-0 Poland". BBC Sport. 16 June 2012. Retrieved 5 July 2018. ^ Hytner, David (16 June 2012). "Czech Republic 1-0 Poland | Euro 2012 match report". the Guardian. Retrieved 5 July 2018. ^ FIFA.com. "2014 FIFA World Cup Brazil™ - Groups - FIFA.com". FIFA.com. Retrieved 5 July 2018. ^ FIFA.com. "2014 FIFA World Cup Brazil™: Montenegro-Poland - Report - FIFA.com". FIFA.com. Retrieved 5 July 2018. ^ FIFA.com. "2014 FIFA World Cup Brazil™: Poland-Moldova - Report - FIFA.com". FIFA.com. Retrieved 5 July 2018. ^ FIFA.com. "2014 FIFA World Cup Brazil™: Poland-England - Report - FIFA.com". FIFA.com. Retrieved 5 July 2018. ^ FIFA.com. "2014 FIFA World Cup Brazil™: Poland-Ukraine - Report - FIFA.com". FIFA.com. Retrieved 5 July 2018. ^ FIFA.com. "2014 FIFA World Cup Brazil™: Poland-San Marino - Report - FIFA.com". FIFA.com. Retrieved 5 July 2018. ^ FIFA.com. "2014 FIFA World Cup Brazil™: Poland-Montenegro - Report - FIFA.com". FIFA.com. Retrieved 5 July 2018. ^ FIFA.com. "2014 FIFA World Cup Brazil™ - Matches - San Marino-Poland - FIFA.com". FIFA.com. Retrieved 5 July 2018. ^ FIFA.com. "2014 FIFA World Cup Brazil™: Ukraine-Poland - Report - FIFA.com". FIFA.com. Retrieved 5 July 2018. ^ FIFA.com. "2014 FIFA World Cup Brazil™: England-Poland - Report - FIFA.com". FIFA.com. Retrieved 5 July 2018. ^ "England 2-0 Poland". BBC Sport. 15 October 2013. Retrieved 5 July 2018. ^ uefa.com. "UEFA EURO 2016 - History - Standings – UEFA.com". UEFA.com. Retrieved 5 July 2018. ^ "Highlights: Poland win 7-0 against Gibraltar whose starting XI had only two professional footballers". 8 September 2014. Retrieved 5 July 2018. ^ Sport, Telegraph (7 September 2014). "Gibraltar rocked by Poland as they slump to 7-0 rout in first competitive match". ISSN 0307-1235. Retrieved 5 July 2018. ^ Association, Press (7 September 2014). "Gibraltar 0-7 Poland | Euro 2016 Group D match report". the Guardian. Retrieved 5 July 2018. ^ "Poland 2-0 Germany". BBC Sport. 11 October 2014. Retrieved 5 July 2018. ^ "Poland 2-2 Scotland". BBC Sport. 14 October 2014. Retrieved 5 July 2018. ^ uefa.com (14 November 2014). "UEFA EURO 2016 - History - Georgia-Poland – UEFA.com". Uefa.com. Retrieved 5 July 2018. ^ "Euro 2016 Group D qualifier: Republic of Ireland 1-1 Poland". BBC Sport. 29 March 2015. Retrieved 5 July 2018. ^ "Poland 4-0 Georgia: Hat-trick from Lewandowski sends his side top". Mail Online. Retrieved 5 July 2018. ^ uefa.com (7 September 2015). "UEFA EURO 2016 - History - Poland-Gibraltar – UEFA.com". Uefa.com. Retrieved 5 July 2018. ^ "Scotland 2-2 Poland". BBC Sport. 8 October 2015. Retrieved 5 July 2018. ^ "Euro 2016 qualifiers: Poland 2-1 Republic of Ireland". BBC Sport. 11 October 2015. Retrieved 5 July 2018. ^ "Poland 1-0 Northern Ireland". BBC Sport. 12 June 2016. Retrieved 5 July 2018. ^ "Germany 0-0 Poland". BBC Sport. 16 June 2016. Retrieved 5 July 2018. ^ "Ukraine 0-1 Poland". BBC Sport. 21 June 2016. Retrieved 5 July 2018. ^ "Switzerland 1-1 Poland (pens 4-5)". BBC Sport. 25 June 2016. Retrieved 5 July 2018. ^ uefa.com (25 June 2016). "UEFA EURO 2016 - History - Switzerland-Poland – UEFA.com". Uefa.com. Retrieved 5 July 2018. ^ "Poland 1-1 Portugal (3-5 pens)". BBC Sport. 30 June 2016. Retrieved 5 July 2018. ^ a b "Bayern Munich's Robert Lewandowski sets European scoring record for Poland | bundesliga.com". bundesliga.com - the official Bundesliga website. Retrieved 5 July 2018. ^ UEFA.com. "European Qualifiers - Standings". UEFA.com. Retrieved 5 July 2018. ^ UEFA.com. "European Qualifiers - Kazakhstan-Poland". UEFA.com. Retrieved 5 July 2018. ^ "Poland 3-2 Denmark". Mail Online. Retrieved 5 July 2018. ^ UEFA.com. "European Qualifiers - Poland-Armenia". UEFA.com. Retrieved 5 July 2018. ^ UEFA.com. "European Qualifiers - Romania-Poland". UEFA.com. Retrieved 5 July 2018. ^ UEFA.com. "European Qualifiers - Montenegro-Poland". UEFA.com. Retrieved 5 July 2018. ^ UEFA.com. "European Qualifiers - Poland-Romania". UEFA.com. Retrieved 5 July 2018. ^ UEFA.com. "European Qualifiers - Denmark-Poland". UEFA.com. Retrieved 5 July 2018. ^ UEFA.com. "European Qualifiers - Poland-Kazakhstan". UEFA.com. Retrieved 5 July 2018. ^ UEFA.com. "European Qualifiers - Armenia-Poland". UEFA.com. Retrieved 5 July 2018. ^ "Poland 4-2 Montenegro: Hosts seal World Cup spot". Mail Online. Retrieved 5 July 2018. ^ "Armenia 1-6 Poland: Lewandowski become's country's record goalscorer". Mail Online. Retrieved 5 July 2018. ^ "Япония проиграла Польше, но вышла в плей-офф (фото)". Soccer.ru (in Russian). Retrieved 5 July 2018. ^ FIFA.com. "2018 FIFA World Cup Russia™ - News - Balanced groups drawn for Russia 2018 - FIFA.com". www.fifa.com. Retrieved 4 July 2018. ^ "Russia World Cup 2018: A group-by-group analysis". www.aljazeera.com. Retrieved 4 July 2018. ^ "World Cup 2018: Group H preview & prediction: Poland or Colombia top?". Football (soccer) greatest goals and highlights | 101 Great Goals. 19 March 2018. Retrieved 4 July 2018. ^ Kidd, Robert. "2018 World Cup Preview, Group H: Poland And Colombia Favorites But Anyone Could Advance". Forbes. Retrieved 4 July 2018. ^ "World Cup 2018: Poland announce preliminary 35-man squad". talkSPORT. 15 May 2018. Retrieved 4 July 2018. ^ "Football: Poland manager names 23-man squad for World Cup". Polskie Radio dla Zagranicy. Retrieved 4 July 2018. ^ "Lewandowski, Szczesny head Poland's final World Cup squad". FOX Sports. 4 June 2018. Retrieved 4 July 2018. ^ FIFA.com. "The FIFA/Coca-Cola World Ranking - Ranking Table - FIFA.com". FIFA.com. Retrieved 4 July 2018. ^ Glendenning, Barry (19 June 2018). "Poland 1-2 Senegal: World Cup 2018 – as it happened". The Guardian. ISSN 0261-3077. Retrieved 4 July 2018. ^ Burnton, Simon (24 June 2018). "Poland 0-3 Colombia: World Cup 2018 – as it happened". The Guardian. ISSN 0261-3077. Retrieved 4 July 2018. ^ Glendenning, Barry (28 June 2018). "Japan 0-1 Poland: World Cup 2018 – as it happened". The Guardian. ISSN 0261-3077. Retrieved 4 July 2018. ^ FIFA.com. "2018 FIFA World Cup Russia™ - FIFA.com". www.fifa.com. Retrieved 4 July 2018. ^ "UEFA EURO 2020 qualifying draw made in Dublin". UEFA.com. Union of European Football Associations. 2 December 2018. Retrieved 2 December 2018. ^ "Regulations of the UEFA European Football Championship 2018–20" (PDF). UEFA.com. Union of European Football Associations. 9 March 2018. Retrieved 13 March 2018. ^ S.A, Telewizja Polska. "El. ME 2020, Austria – Polska 0:1 (skrót meczu)". sport.tvp.pl. ^ "Poland vs. Latvia - Football Match Report - March 24, 2019 - ESPN". ESPN.com. ^ FIFA.com. "The FIFA/Coca-Cola World Ranking - Associations - Poland - Men's - FIFA.com". fifa.com. Retrieved 12 June 2016. ^ "Powołania na mecze z Austrią i Łotwą" (in Polish). 11 March 2019. Retrieved 13 March 2019. ^ "Klub wybitnego reprezentanta" (in Polish). Retrieved 6 October 2015. ^ "Managers history" (in Polish). Retrieved 6 October 2015. Wikimedia Commons has media related to Poland national football team.